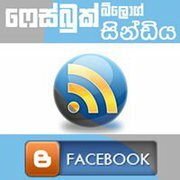 This entry was posted by Sanjaya on September 25, 2011 at 10:29 pm, and is filed under සිංහල. Follow any responses to this post through RSS 2.0.You can leave a response or trackback from your own site. Media Editing Workshop Ends Successfully | Behind the scene…. දුටු තැන මිල දී ගනු ! Buy at first sight !